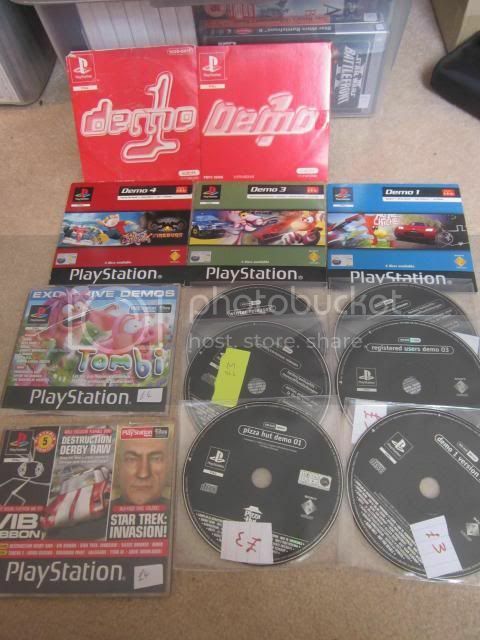 Closed PAL PS1 Demo Discs! Thread: PAL PS1 Demo Discs! Any condition as long as working..don't have to be boxed. Just remember having loads of these discs and some of the were really interesting. Thank you for the offer, but its a lot more than I'm willing to pay for ps1 demos. Thank you. Will offer £10 inc.
Last edited by DahrenDreamcast; 25th October 2014 at 17:29.